Ivan Guimarães Lins (born June 16, 1945) is a Latin Grammy-winning Brazilian musician. Ivan Lins has been an active performer and songwriter of Brazilian popular music (MPB) and jazz for over thirty years. His first hit, “Madalena”, was recorded by Elis Regina in 1970. 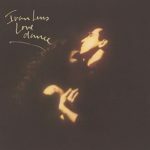 “Love Dance”, a hit in 1989, is one of the most recorded songs in musical history. His songs have been covered by Patti Austin, David Benoit, George Benson, Michael Bublé, Eliane Elias, Ella Fitzgerald, Dave Grusin, Shirley Horn, Quincy Jones, Steve Kuhn, the Manhattan Transfer, Sérgio Mendes, Jane Monheit, Mark Murphy, Carmen McRae, Joe Pass, Lee Ritenour, Sarah Vaughan, Diane Schuur, Sting, Barbra Streisand, Take 6, Toots Thielemans, and Nancy Wilson. Ivan Lins has released albums regularly and penned several standards, such as “Love Dance”, “Começar de Novo” (Starting Over) (the English lyric version is titled “The Island”, with lyrics by Alan and Marilyn Bergman) and “Velas Içadas”, which have made their way north into the American jazz lexicon. “You Moved Me to This”, a duet with Brenda Russell from the same album as “Love Dance”, saw modest success on American radio. He recorded in English for Reprise/Warner Bros. Records in the early 1990s.